Independent brand is expected to appoint a shop straight after chemistry meetings this week. 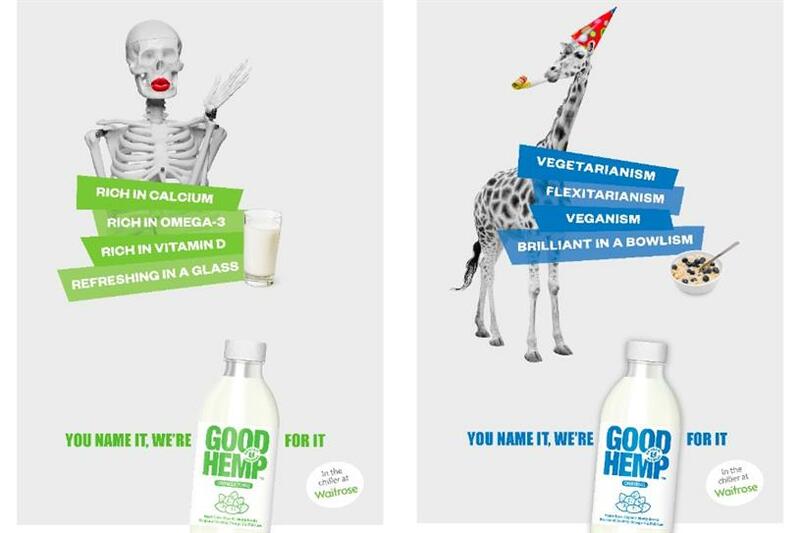 Good Hemp, the independent Devon-based food and drinks brand, is looking to add another creative agency to its fledgling roster ahead of a marketing assault on the dairy-free market next year. Prospective agencies have been invited to chemistry meetings and the review is being run through Creativebrief. The brand is looking to appoint a shop soon after chemistry stage, without holding tissue meetings to look at specific ideas. Good Hemp already works with VCCP's sister agency Snap, which was appointed in August and is not affected by the review, as well as M/SIX, which was also appointed this year to handle media. In October, Snap created "You name it, we're good for it" for the launch of Good Hemp's chilled dairy-free hemp drink. The brand is now looking for a "broader creative agency", Good Hemp’s interim head of marketing, Dan Ince, told Campaign. The successful shop will work on the brand’s dairy-free hemp drink (made from hemp seeds) as well as other products, Ince added. A source close to the review said Good Hemp was looking at relaunching its drink as an alternative to Alpro and catering to a growing number of "flexitarians" in the UK.